I absolutely loved Baggage Claim. It's such a great movie to watch either by yourself or with a group of friends. I had a few girlfriends over and we had snacks to munch on along with popcorn. A movie about a single woman trying to find Mr. Right, although we've seen this story line a few times before, Paula Patton does a great job in this movie as our main character. Filled with drama, hilarious situations and a beautiful cast that includes a few eye candy, this is definitely a great movie to add to your collection. Definitely a great movie to watch for a girls night in. 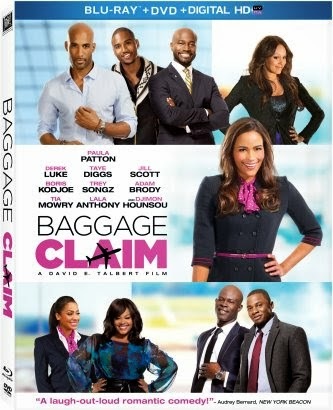 Baggage Claim is now available on blu-ray and DVD for purchase! Disclosure: All opinions are my own. I received Baggage Claim at no cost for the purpose of this review. No other compensation was received.